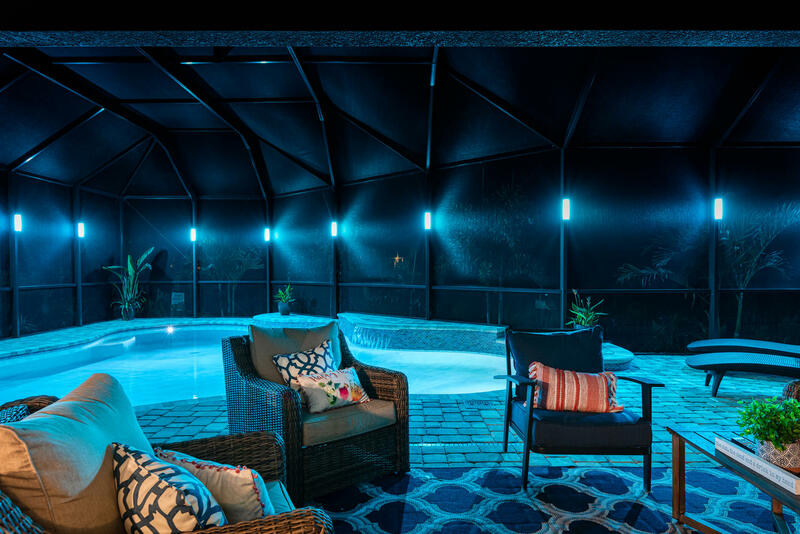 This gallery of our lanai lighting here is just a small sample of how our pool enclosure lights will take your outdoor living space to a new level of elegance and style. If you like the photos you see here, you will LOVE our screen enclosure lights in your outdoor living space. In the lanai lighting market, just as any other market, there are always cheap/inexpensive options available, but you generally get the quality and product longevity you pay for. 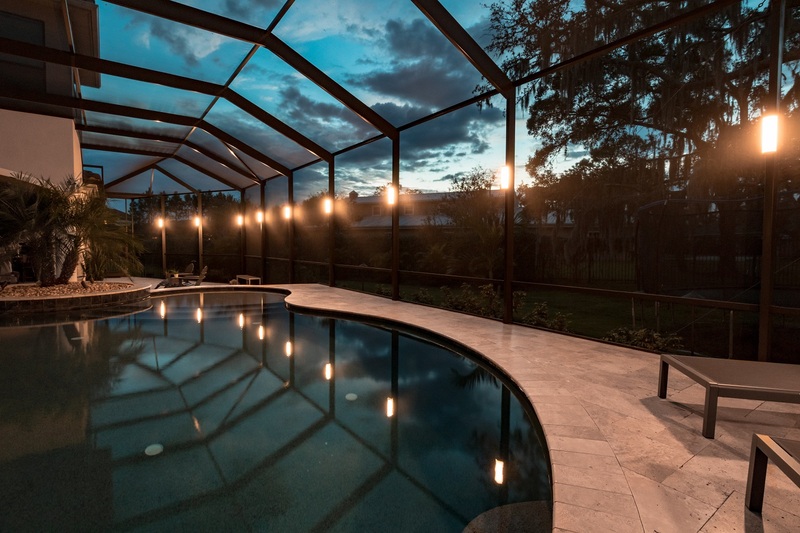 The Florida environmental elements are brutal on pool enclosure lights. UV rays discolor plastics typically found on most pool enclosure light fixtures within a short period of time. Humidity and salty sea breezes are extremely destructive on non-plastic and electronic components. Lightning and power outages/surges will constantly test electrical components. Our screen enclosure lights were designed specifically taking all of these elements into consideration. The end result? Screen enclosure lights that will provide both functional and soothing lighting for your outdoor living space for years to come, all while looking incredible on your enclosure both day and night.